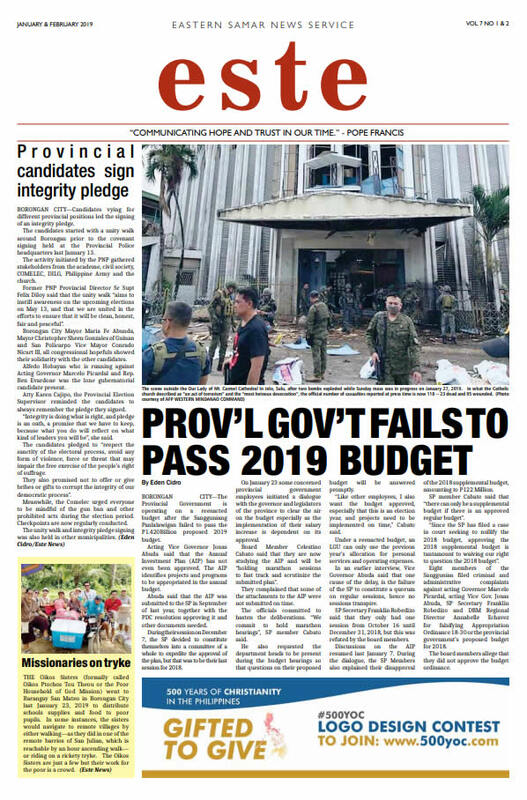 MANILA, March 11, 2019–A nun has reminded President Rodrigo Duterte that freedom of expression doesn’t give him the right to degrade women. “That’s basic ethical norm and yet he doesn’t know it?” said Benedictine Sister Mary John Mananzan. The nun was reacting to Duterte’s statement that he has the right to joke about women which some groups find to be misogynistic or sexist. In an event honoring women law enforcers in Malacañang on March 11, Duterte said that one cannot take away from him his freedom of expression. “You know, you women, you are depriving me of my freedom of expression… You criticize every sentence or word I say, but that is my freedom to express myself,” he said. Duterte said he intentionally makes such remarks to bring his female critics “to the limits of despair”. Sr. Mananzan said freedom of speech is never a license to mislead or recklessly hurt the feelings of other people. “Of course you can say what you want but you may not say libelous words and words injurious to others,” she said. 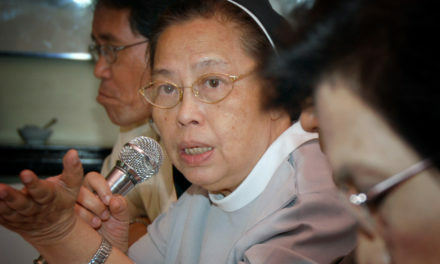 The nun said Duterte should not be more surprised if more women become critical of him.